GST, demonetisation pull down GDP growth sharply in the first quarter of 2017/18. The Gross Domestic Product (GDP) growth in the first quarter of 2017/18 slowed sharply to 5.7 per cent, much less than the expected 6.1-6.5 per cent, making economists wonder if demonetisation continues to weigh on the economy. 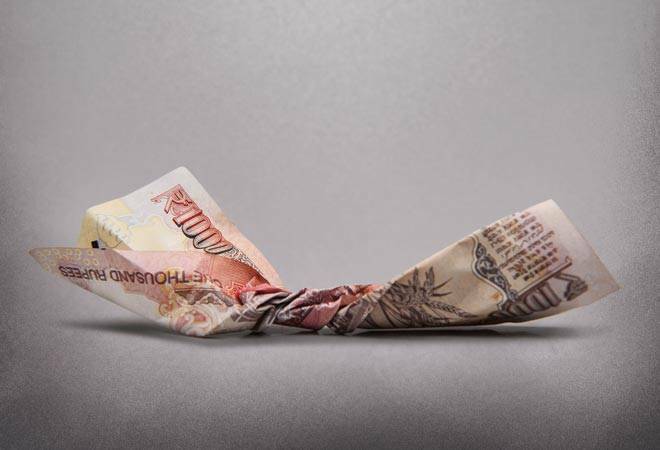 Though demonetisation was effected on November 8, 2016, and remonetisation picked up pace after February 2017, many economists had said then that the impact of the move would last for two-four quarters. Though the recent GDP number may suggest they were not too far off the mark, it remains a point of contention if it was demonetisation that slowed the GDP growth more than expected. The GDP growth rate in the first quarter of the previous year was 7.9 per cent; in the previous quarter, it was 6.1 per cent. While economists are unanimous in attributing a part of the slowdown to the implementation of the Goods and Services Tax (GST) and the Real Estate (Regulation and Development) Act, many also accept that the contribution of demonetisation has been significant. Ahead of GST implementation on July 1, many companies, owing to the requirement of re-labelling of existing stocks, had gone slow on manufacturing in June and started selling whatever inventory they had. This is evident from the fall in manufacturing sector growth from 5.3 per cent in the fourth quarter of 2016/17 to 1.2 per cent in the first quarter of the current financial year. However, the impact of demonetisation can be gauged from subdued results of consumption-related companies in the first quarter. "Initially, we thought the impact would last till the fourth quarter of last year, but after the first quarter corporate results started coming, we realised that they are as bad as the fourth quarter results. Consumer-related companies were more impacted than other industries due to demonetisation," says Madan Sabnavis, Chief Economist, CARE Ratings. Micro, small and medium enterprises (MSMEs), a large number of which operate in the informal sector and which account for 38 per cent of the GDP, were the worst hit by demonetisation. Though the GDP calculation does not fully capture the informal sector, proxy indicators such as the Index of Industrial Production (IIP) do that in large measure. In June, the IIP fell by 0.1 per cent compared to a 1.7 per cent rise in May, its first fall since June 2013. In April, it fell from 3.8 per cent to 3.1 per cent. Besides, loss of jobs in the informal sector due to demonetisation could have delayed the pick-up in consumption demand, as is evident from corporate results in the first quarter. 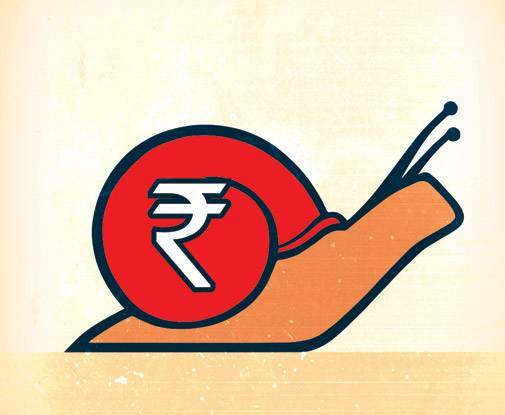 A Crisil report also observed that "the government has also revised down Gross Value Addition (GVA) growth for the fourth quarter of last financial year by 50 basis points to 5.6 per cent, suggesting that the impact of demonetisation on the economy was more than earlier estimated." Gross value addition is the value of goods and services produced minus the cost of inputs and raw material. Though economists are hoping that consumption will pick up from the third quarter, aiding GDP growth, most agencies have started revising downwards the full-year GDP growth estimate for 2017/18. While CARE Ratings has revised its estimate from 7.6 per cent to 7.1 per cent, Crisil says it is in the process of revising downward its earlier estimate of 7.4 per cent. Ratings agency Icra says that "the likelihood of economic growth surpassing 7 per cent for the ongoing fiscal year has diminished after the bleak first-quarter readings."